Hugo is responsible for our Shop at Köpmangatan 3 in Old Town Stockholm. He is also servicing our wholesale customers. Hugo has a multicultural background, speaks several languages and he makes people from all nationalities feel at ease. Hugo has an international background having lived in France, Germany, Canada, Estonia and Sweden. He knows the inner workings of Art for a Reason AB/Living in the Baltic Sea extremely well since he has worked for the company during several summers while studying. His education includes economics, environmental studies and art, all issues that concerns our mission. 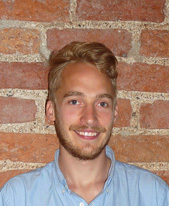 We are very happy to welcome Hugo to our team as of May 2013. 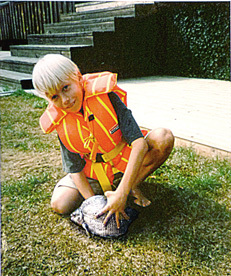 I have always loved fishing and I truly enjoy spending time by the sea. Seeing the degradation of the Baltic Sea is sad and I am glad to be a part of a team concerned with the Baltic Sea Wildlife.